For the most part, the status was liked by many females (not surprisingly) but a few actually said that I was being insensitive. Now, I will always call it how I see it and since this is a fashion AND lifestyle blog, I believe how a woman presents and conducts themselves in the social media world (as well as the real world) also encompasses who they are as a woman just as much how the choice of clothes they wear. I get it! Your ex may have burnt you, dumped you, cheated on you, disagreed with what you had to say, and/or dissed you on his social media sites but that doesn’t mean you should do the same. I see females post that they’re over their ex (that’s great to hear and many will “Like” their statuses) but weeks later and in between they are constantly airing out every bad act the person has done to them. Step back for a minute and ask, if that person did all those bad things, then why did you stay with that person? For whatever the reason, WHY would want to put out information that may make people pity your situation anyways? I’m not supporting whatever the Exes have done but what sense does it make to publicly put personal business out there? The intentional indirect-direct posts of “relationship” quotes, YouTube videos of “I’m over you” songs, and/or posts directly meant for that person is just ridiculous. It’s not to say you can only post about positive songs, quotes, etc. but I know there are many of us (my younger and less immature self is included) hope that through these subliminal posts, the ex will see it or told about it by their friends or colleagues and ‘feel bad.’ Newsflash: They won’t. More than likely, they have moved on while the Scorned continues to be stuck in the past. Breaking up is hard, painful and very emotional but it doesn’t have to be self-inflected embarrassment by reliving it. It’s just unfortunate, that some must express and bad-mouth another to help themselves heal. 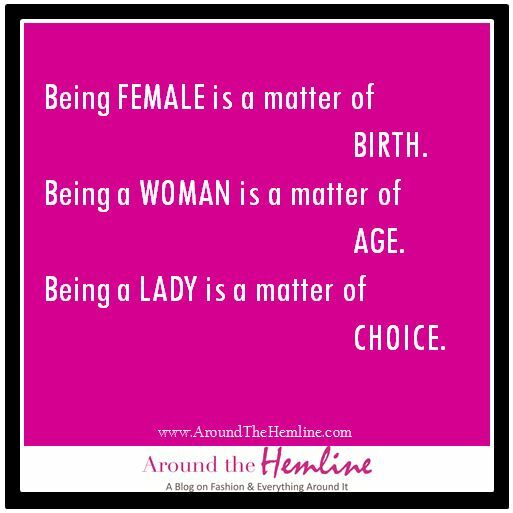 Being a lady is a matter of choice. You put out negative into the world, you’ll get negative coming back. Part of being a lady is conducting yourself with class and don’t have the need to bring someone down because you’re feeling down. We live in a world where expressing meaningless actions (i.e. “I just went the bathroom.” or “I like the color blue.”) through Facebook posts or Twitter tweets become an entertainment. Nothing is wrong with that sort of personal entertainment but to take personal stabs to ruin the image of another because they hurt you, only hurts the person posting…you. You are not the first person that has felt heartache, so accept the pain but don’t keep reminding yourself of it. The only person that cares about that post is yourself. Now, I can understand that may helps people grieve and get over whatever situation, so be it…to each its own but just know how things are perceived. It may not be what you intended, but that’s HOW it’s seen. Actions do speak louder than words so choose your words wisely, Ladies. Have an amazing week!